Excellent pedigree. Produces beautiful foals. Is ridden English or Western. Olive is a super sweet mare Who produces fantastic foals. She is fully registered and microchipped with the Royal FPS. You can drive her in a cart or ride her as you wish. English or Western. Olive has lovely gaits. 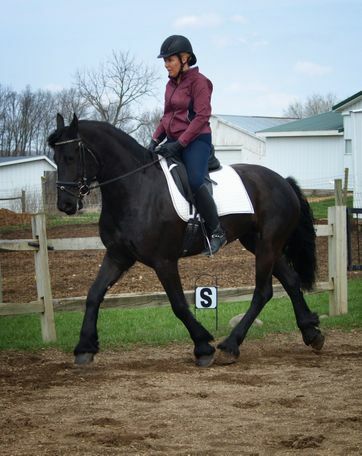 With some practice, she would be great to show Dressage. She is up-to-date on her vaccinations and has a current Coggins test. She is shod on all fours but can also go barefoot. Olive loads, ties and enjoys trail riding. She is sound and loves attention.